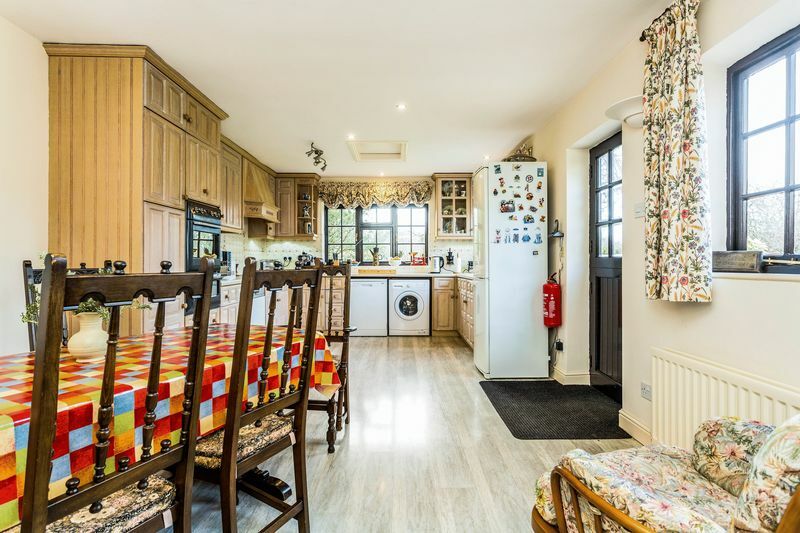 A charming 3/4 bedroom cottage situated in the sought-after village of Oaksey, less than 4 miles from Kemble Station. 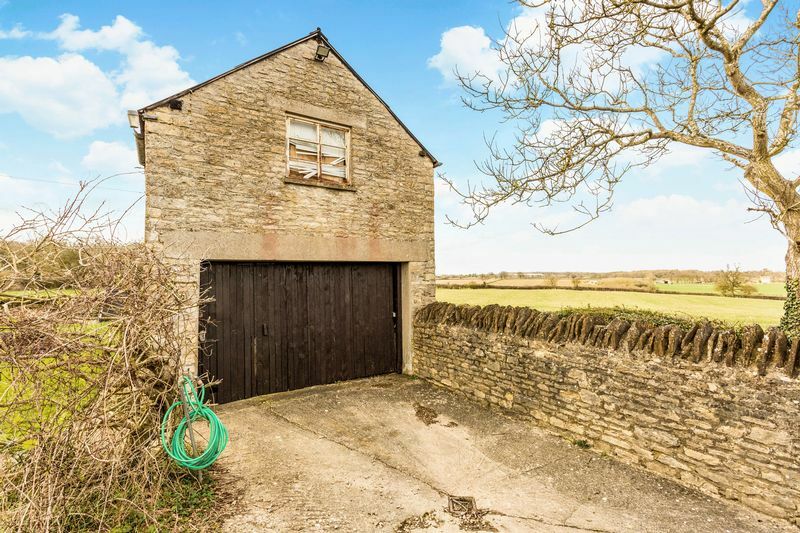 The property boasts great potential as full planning permission has been granted to convert the stone outbuilding into a separate dwelling, perfect for an investment property or for other family members. The property has been home to the current vendor since the 1980s and now offers a new family the perfect opportunity to make it their own. 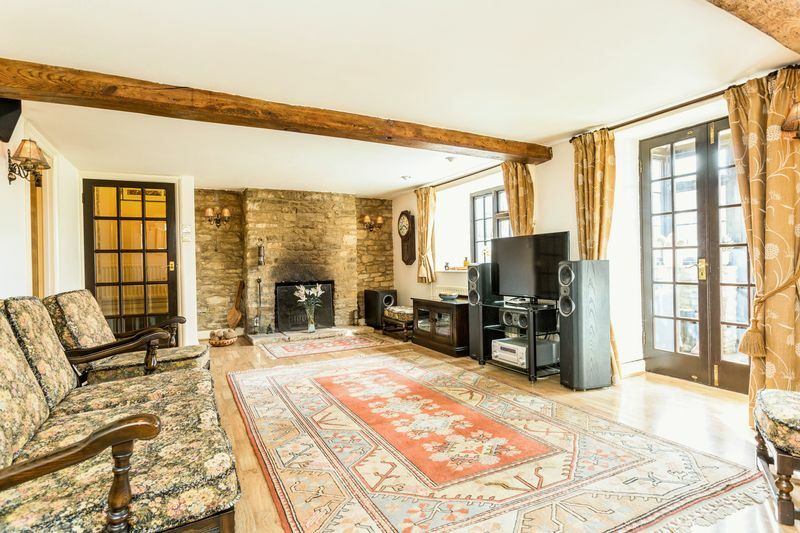 It has been sympathetically extended since its original footprint, which dates back to the 19th century. The cottage is situated on the outskirts of the village enjoying a beautiful outlook across open farmland, yet within easy walking distance of all the amenities the village has to offer. 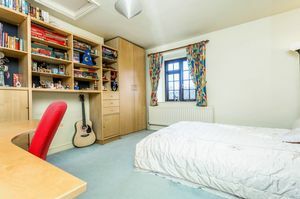 It is arranged across two floors, briefly comprising; an entrance hall, two reception rooms, a kitchen/dining room, a study, three bedrooms and two bathrooms. 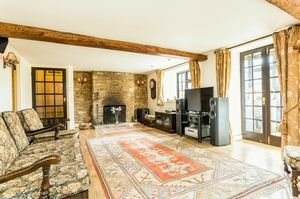 The sitting room occupies the original part of the cottage, boasting a focal stone fireplace and exposed beams, and with two windows plus glazed doors opening out onto the terrace and garden. Adjacent to the sitting room is a handy study area and useful under stairs storage, as well as the first of the bathrooms; tiled fully in limestone tiles with a bath and a separate shower. 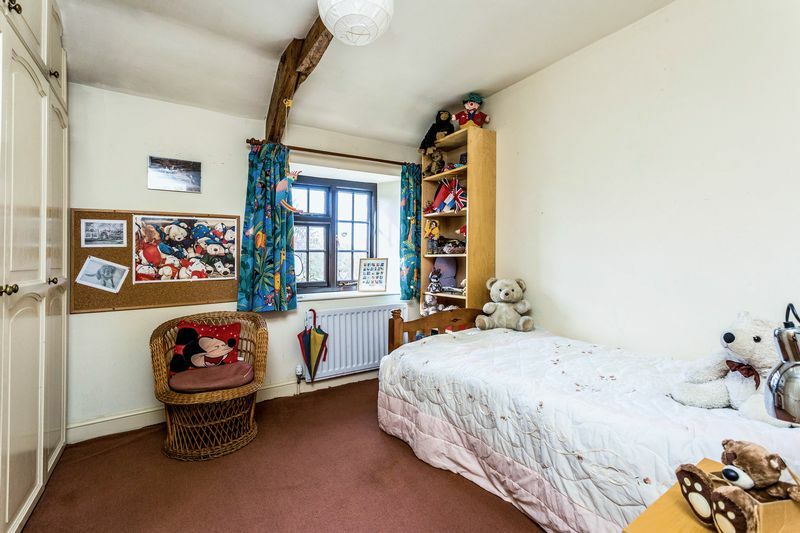 To the opposite side of the hallway is the 2nd reception room, which could also, very easily, lend itself to a 4th bedroom if required. The final room on the ground floor is the kitchen/dining room, which is dual aspect and features a stable-door opening onto the garden. 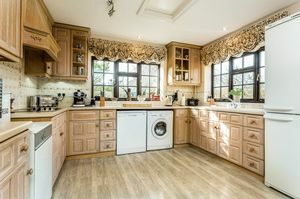 The kitchen is fitted with country style wall and base units, plumbing for a washing machine and dishwasher, as well as space for a fridge freezer and electric oven. To the other end of the room is a good space for a family dining table, making this the real hub of the home. 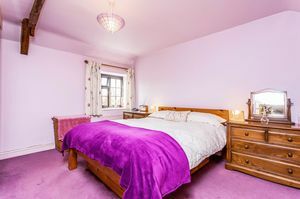 Rising to the first floor there are three bright and airy bedrooms, all double sized and all of which boast fitted wardrobes and storage, and views of the countryside. 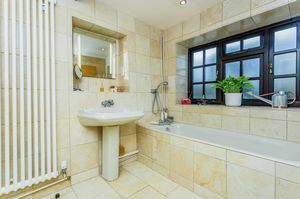 A shower room, also finished in limestone tiling, sits off the landing and features a wet-room style shower along with a W.C and hand basin. 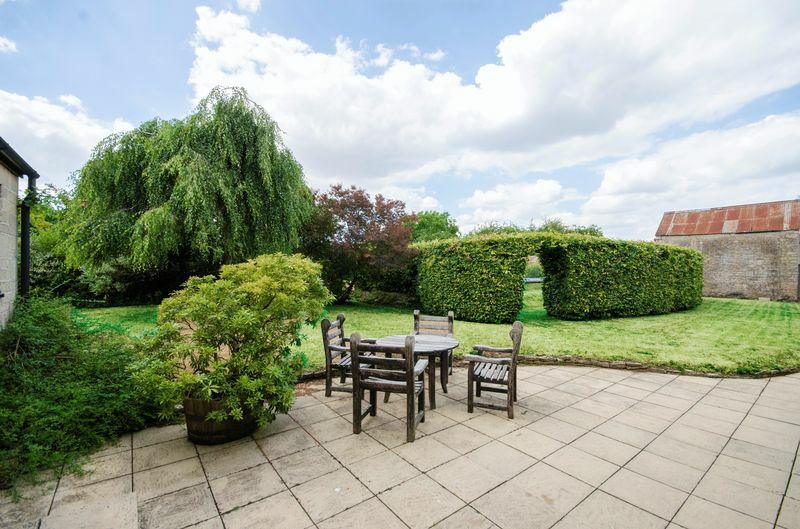 Externally, the garden reaches approximately ¼ of an acre and is made up of mature, well stocked borders situated around a main lawn. There is a beech hedge surrounding a swimming pool which, although not in use by the vendor this season, is fully functional; alternatively, it could be filled to maximise the gardens. A driveway, accessed via Coppice Lane, provides parking for multiple vehicles. 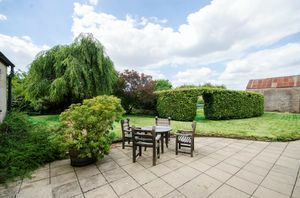 At the far side of the garden is a two-storey stone outbuilding, comprising a garage on the ground floor and store room on the first. 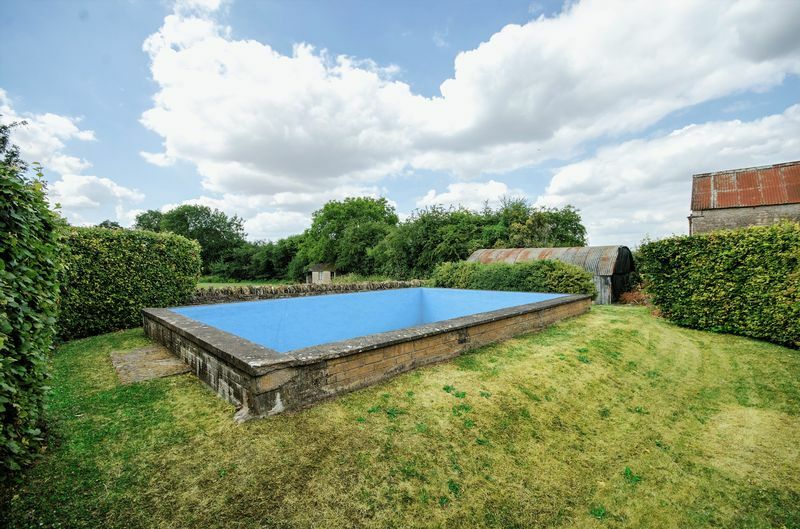 This has full planning permission to convert and extend into a two or three bedroom cottage, perfect for someone looking for a project, an investment (such as an Airbnb) or accommodation to house relatives. 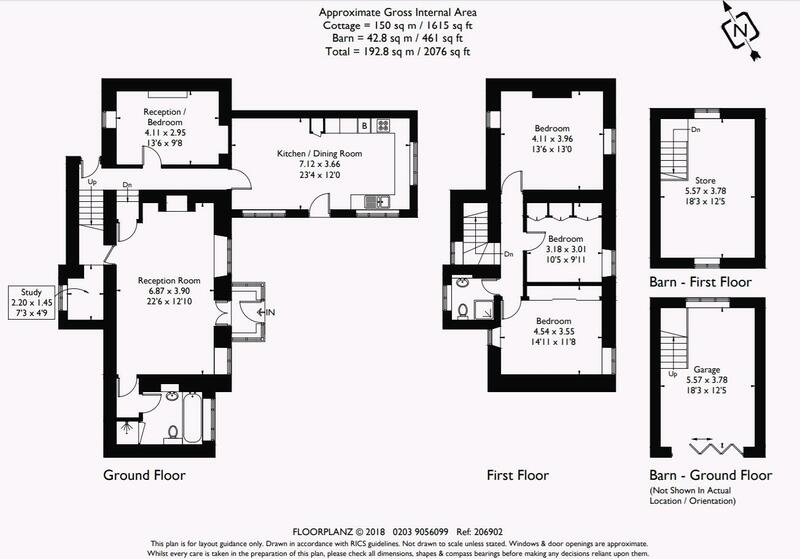 Wiltshire Council Planning Ref: 16/10320/FUL. Oaksey village sits right on the Wiltshire -Gloucestershire border, just South of Cirencester which, along with nearby Malmesbury, offer extended shopping and social amenities, as well as excellent secondary schools. 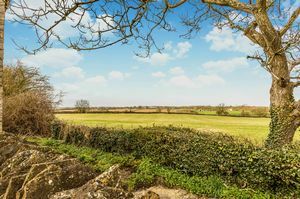 The village has a Primary School, Post Office/Village Shop, Pub, 13th century church and Village Hall, and is an active local community. 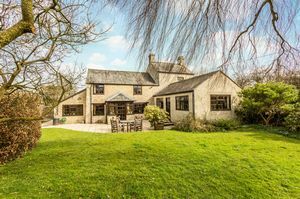 Kemble Station, which is on a mainline to London Paddington, is just under 4miles away, and J17 of the M4 motorway is a 20 minute drive.